Just under a year ago, I was one of eight nominees in the running for the 2018 Australian of the Year award and I was confident that I would not win. After all, awards of this nature are not usually given to quantum physicists and there were so many other excellent nominees, including the legendary rugby player Jonathan Thurston, the Logie-winning actor Samuel Johnson and David David, a craniofacial surgeon whose life’s work had touched thousands of people. To have been honoured at this level has been something that I would never have imagined. When announced on 25 January last year I felt a whole series of emotions. I was terrified, excited and honoured, but I also felt a sense of tremendous responsibility. As the 2018 Australian of the Year, I have been fortunate to travel across the country and meet with many different communities. I’ve spoken to people from industry, government, our scientific community, teachers and students. This has given me a unique perspective on Australia and just how great Australians are. Students have been among my favourite audiences throughout the year. 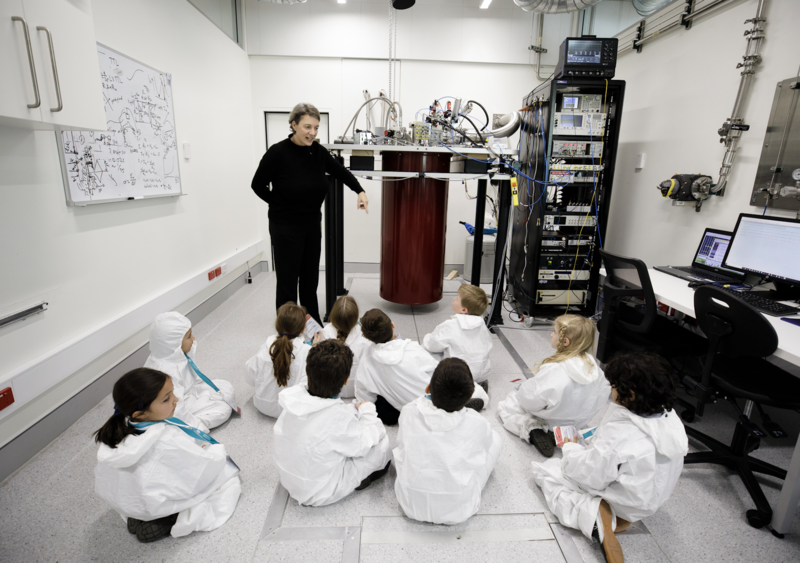 I love to see their innate curiosity and enthusiasm for knowledge, and it has been reassuring to observe that Australian children are bright, savvy and up for a challenge. In their example, I know that the pulse of the nation is strong. It is up to us now to provide them with those challenges and equip them with the tools to achieve their goals. 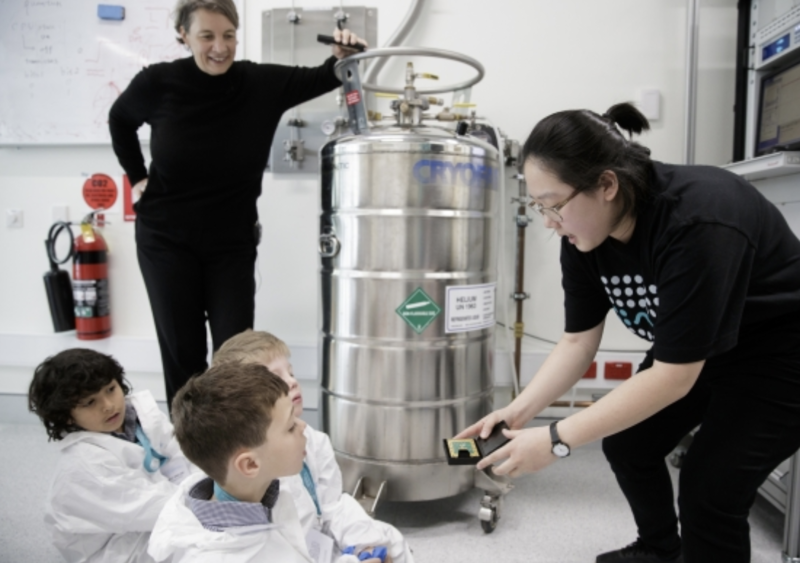 One of the highlights of my year was opening our quantum labs at UNSW to over 200 primary and secondary school students and teachers from across the country. They saw, up close, how we are building the quantum computer. They got to interact with our research team, try a few experiments and even learn a few card tricks from Eddie Woo. The aim of the event was to spark students’ interest in quantum physics and highlight the broader opportunities available in physics, maths and computer science. The Open Day pilot program was so successful that there are already plans for a repeat in 2019. Students at the CQC2T Open Day. It is important to highlight to students, parents, teachers and career advisors that constantly learning new skills will be advantageous in providing the flexibility needed for the jobs of the future. Among those skills is coding, which I firmly believe should be made compulsory in schools all the way down to primary school. 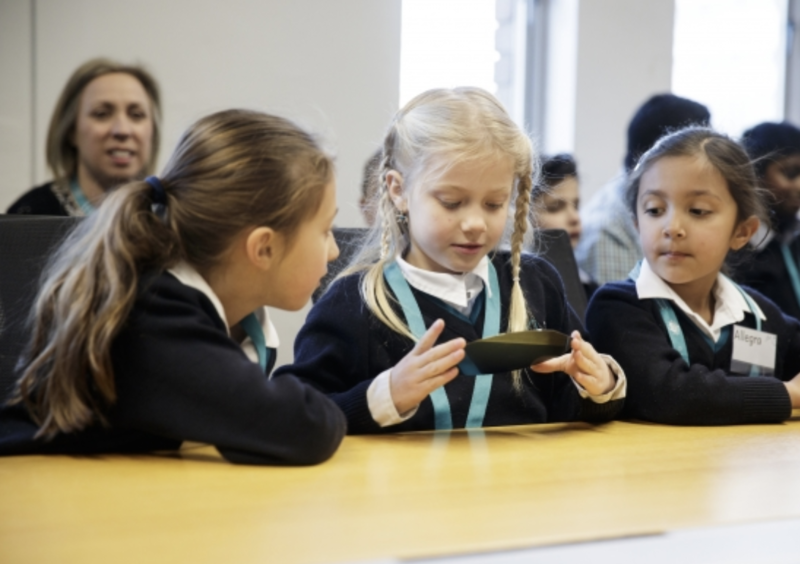 There is a growing number of countries across the globe where coding is being made a compulsory component of school curricula. 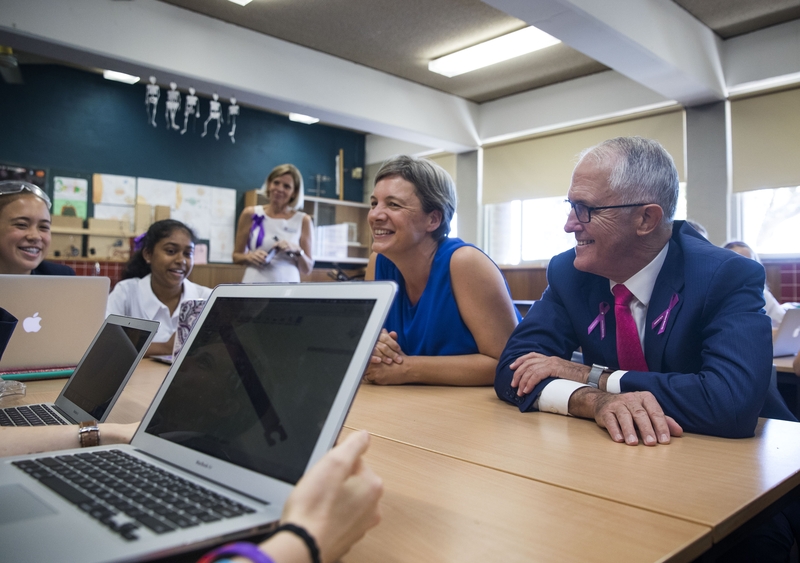 For our children’s future, and for the future economic health of Australia, it is a no-brainer for us to do this and I will continue to encourage policymakers to strengthen the pathways in coding and mathematics in Australia’s education system. Students learning about quantum computing. Students visiting the CQC2T labs. Something that was completely unexpected from my time as Australian of the Year was the opportunity it gave me to represent Australia overseas. Many people from other countries – and especially scientists – have expressed surprise (and a touch of envy) that Australians would recognise a quantum physicist for an honour of this kind. In the course of my travels over the year, I met with Australian ex-patriot communities in Singapore and Hong Kong, and I travelled to the United States where I was hosted by the Australian Embassy in Washington DC to celebrate 100 years of the US-Australia Mateship program. This is a unique friendship, first formed in the trenches of World War 1, and Australians and Americans have been serving alongside each other over both the 20th and 21st centuries. 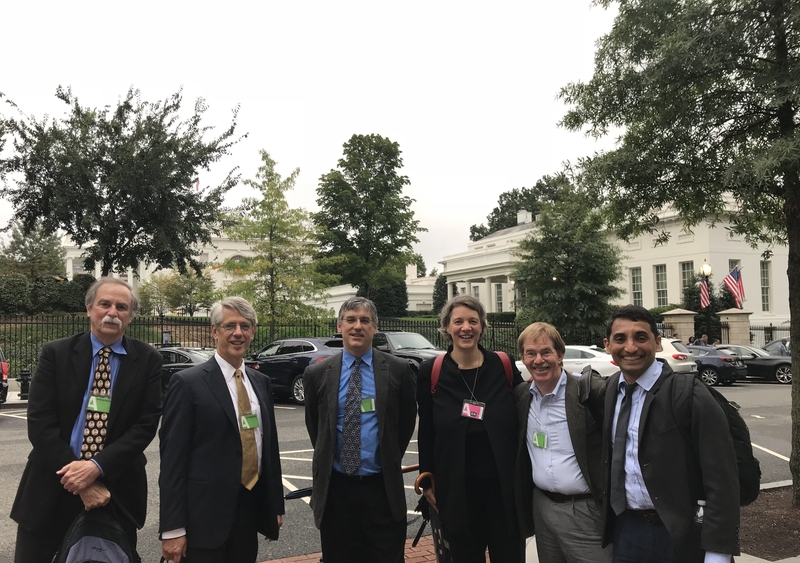 A highlight of the US visit was an invitation to attend a quantum computing leadership summit at the White House. Quantum computing is a fascinating and fast evolving field with the next decade heralding significant advances across the globe. Australia’s position in this context remains formidable and its relationship with the US is very strong. Our collaboration in this regard is unusual because in many other parts of the world, such partnerships would be unlikely, if not competitive. Following many years of successful collaboration with the US in my own research, I have since been delighted to accept an invitation to become an Honorary Patron of Mateship for the US-Australia relationship. 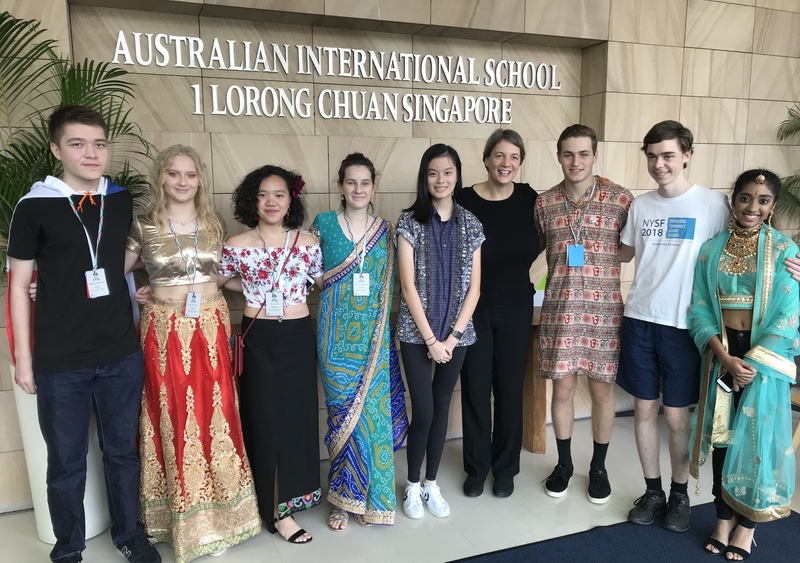 With students from the Australian International School in Singapore. 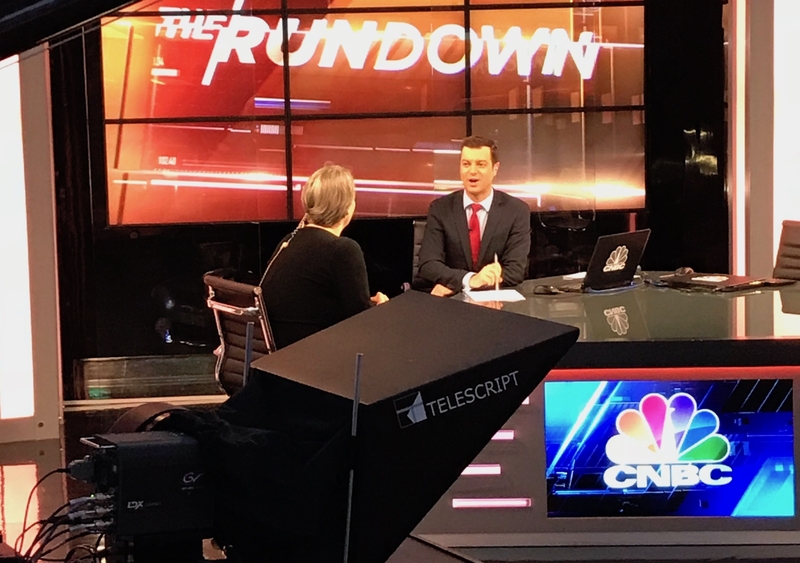 CNBC Asia – behind the scenes during one of Michelle’s TV interviews (Singapore). The ability to collaborate and compete at the same time is one of the more unusual and positive features of Australian culture. I attribute Australia’s competitive edge in the field of quantum science to this uniquely Australian approach to research as well as to the sustained and strong support that our research teams have received in funding. Australia is now in prime position to develop niche, high-end industries in quantum technologies. We are a global leader in quantum computing with our own teams at UNSW releasing a series of ground-breaking research results in silicon quantum computing over the past year – and there is more exciting news to come. It’s an incredibly exciting and exhilarating field to be in right now. 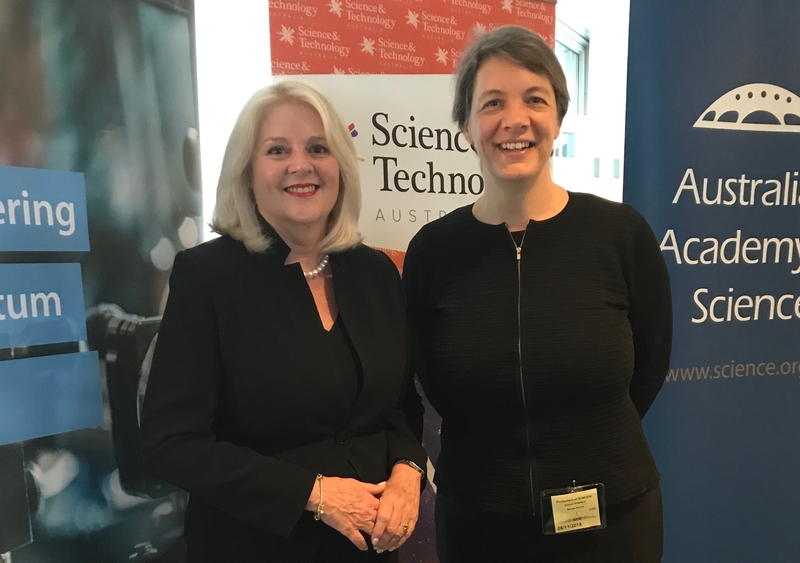 With Minister for Industry, Science and Technology Karen Andrews at the Parliamentary Friends of Science breakfast, November 2018. Over the year, I have received incredible support from UNSW, my team at CQC2T as well as the National Australia Day Council. I am especially grateful to my students and research staff, for their ongoing understanding of my unexpected role as Australian of the Year. As for the year ahead, I remain more excited than ever about working with them on building a quantum computer in silicon and continuing to advocate for science, maths and technology education through targeted outreach programs. However, as my term concludes, I will be celebrating another group of dynamic Australians: individuals who have made their own mark on Australian society and earned a place in its cultural history. I encourage the next Australians of the Year to reach out to past recipients of this award. We are here to support those who come after us to help them navigate this unique privilege.